Designed for tactical operations and packed with innovative technology, the Buck Marksman™ is built for heavy-duty use. Constructed with one of the strongest locking mechanisms on the market, the SLS (Strong Lock System). Once deployed, the SLS is comparable to a fixed blade in strength, allowing you to take full advantage of the Marksman’s versatile drop point blade. 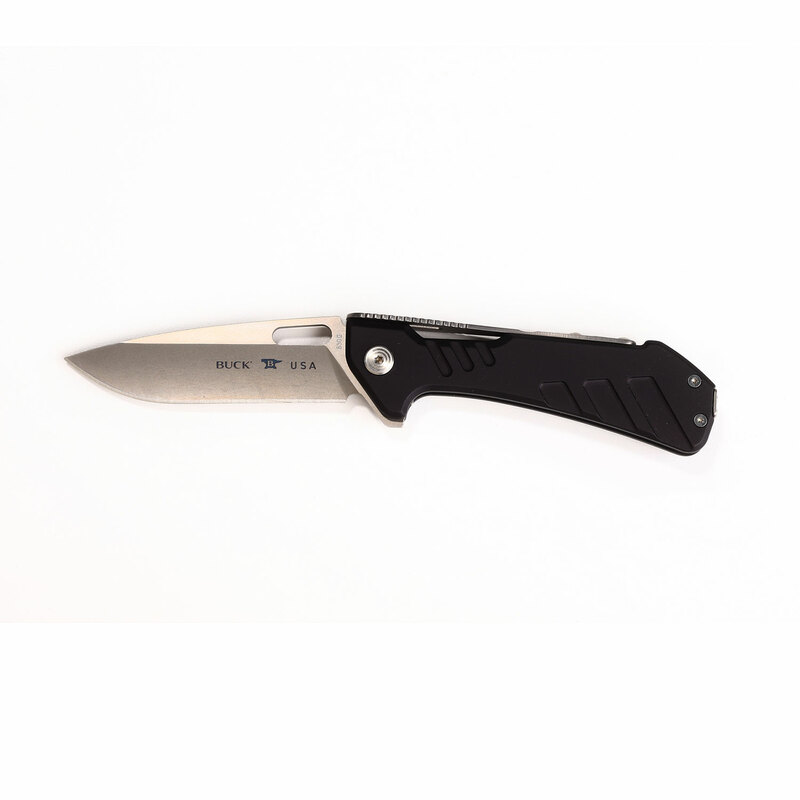 This blade is full bellied with a strong, thick point for heavier tasks. 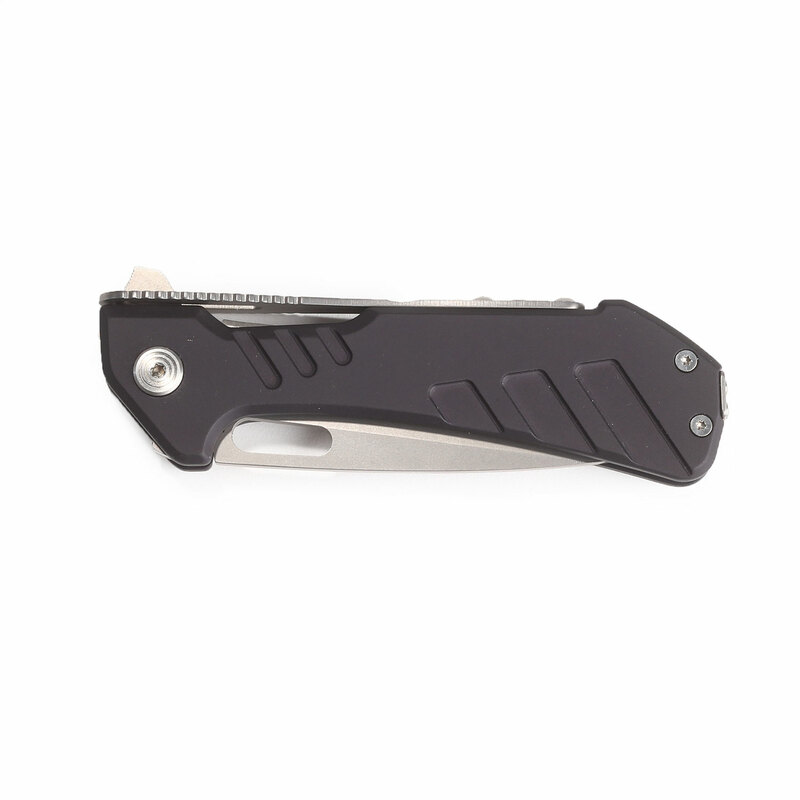 Excellent as a general work knife, the top of the blade drops down toward the tip, minimizing accidental puncturing. A ball bearing pivot system allows quick and easy opening by simply sliding one finger along the strap, while the blade hole allows ambidextrous one-handed deployment. 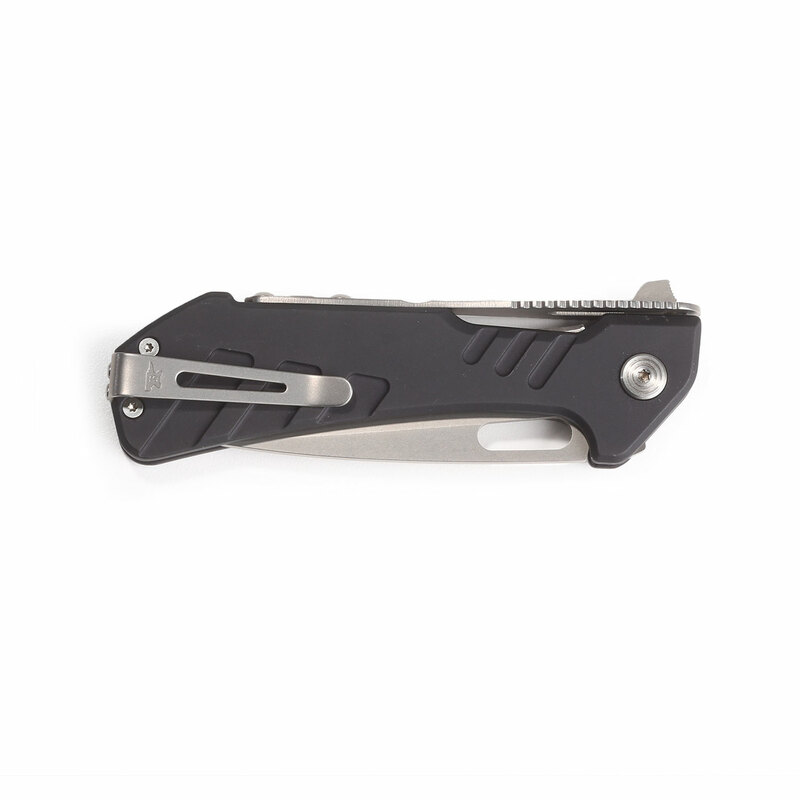 The solid aluminum handle delivers strength with reduced weight for comfortable carry with the sturdy pocket clip. The Buck Marksman is tough enough to tackle any task.